Kids love to explore, and that’s a good thing–it’s basically their job to learn, after all. Unfortunately, all that curiosity occasionally gets kids in trouble. They do something dangerous like playing with electrical outlets and they get hurt. Around 2,400 children shock themselves on electrical outlets every year in the US. The best way to keep kids from hurting themselves with electrical outlets is installing tamper-resistant outlets in your home. What are tamper-resistant electrical outlets? Tamper-resistant outlets are designed to prevent kids from hurting themselves while fidgeting with an outlet. They have two spring-loaded shutters that close the slots when you remove a plug. When you insert a plug, both shutters compress and the slots open again to accept the plug. It’s important to note the shutters only open when both springs are compressed at the same time. If some curious kid shoves a nail in one opening, the shutters don’t open. Tamper-resistant outlets make your home safer. What if you don’t have children? There are all kinds of reasons to have tamper-resistant outlets in your home, even if you don’t have kids. Kids visit, homes are sold, new tenants move into apartments, etc. Every home or apartment should have tamper-resistant outlets. Sooner or later, little kids will want to “see what happens if I stick a fork in there.” In fact, tamper-resistant outlets are important enough that modern codes require them in new homes and apartment buildings. Is it harder to stick a plug into a tamper-resistant outlet? No. The spring-loaded mechanism lifts the shutters as you press the plug into the outlets. You won’t notice any difference in convenience between tamper-resistant outlets and normal ones. 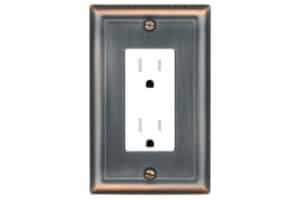 Do tamper-resistant outlets cost more? A little bit. They cost about 50 cents more. If you’re building a home with the average number of outlets (75), it would cost around $40 more to install tamper-resistant outlets. That’s a small price to pay to keep the kids safe. What about the plastic caps you plug in, or sliding receptacle covers? Temple University did a study and every single 2-4 year old they tested removed one type of plastic outlet cap in 10 seconds. Children watching their parents quickly learned how to move sliding receptacle covers, as well. Tamper-resistant outlets are by far the most effective means of preventing children from shocking themselves in outlets. Why are tamper-resistant outlets the right choice for my home? They’re required by electrical code in new construction. They help keep children safe. They’re more convenient and effective than the little plastic caps. How do I install a tamper-resistant outlet? Turn off the power to the outlet at the main service panel. Make sure there’s no power to the outlet. Unscrew the screws holding the outlet in place. Pull the old outlet out of the box. Set the old outlet aside. The white (neutral) wire connects to a silver-colored terminal screw. The black (hot) wire connects to a gold-colored terminal screw. The bare wire connects to the green grounding screw. Make sure the cable sheath remains secured inside the box. Gently shove the wires back into the box. Slide the new tamper-resistant outlet into the box. Insert screws to secure the outlet. Insert the screw to secure the cover. Turn the power back on at the main service panel. Smile! You’ve just made your home safer for the little ones. If you’re still not sure if you need to install tamper-resistant outlets, check out the facts. If need convincing as to why you need these outlets, check out this information on outlet related injuries. 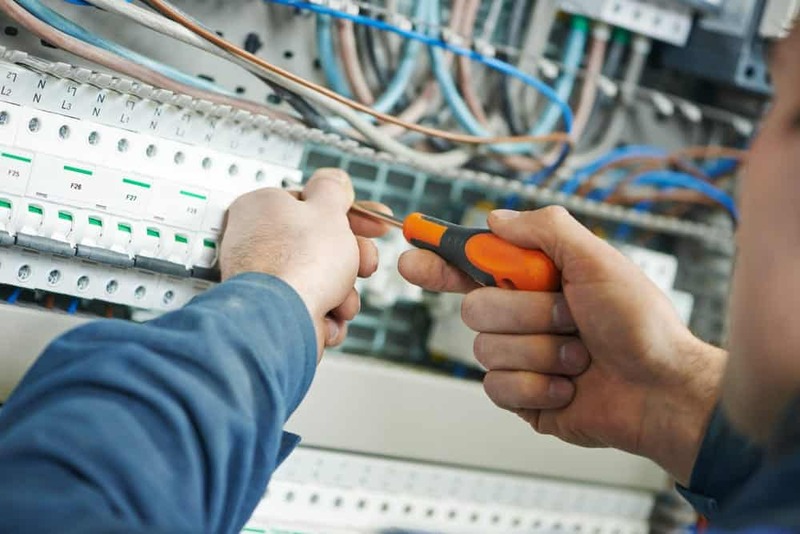 EarlyBird Electric is always available to help with any electrical project you’re working on. If you have questions about tamper-resistant outlets or you’re interested in installing some, just give us a call. We’re proud to help keep your kids safe.